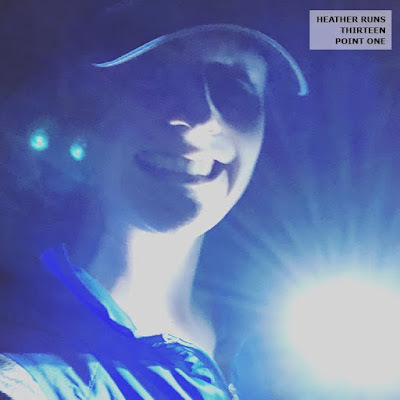 With fall and winter upon us, that means running in the dark. The sun rises late and sets early, leaving us runners with very little time to run in the daylight. Not all of us work from home or have the ability to go for a runch. Even my short runs take me close to an hour, so even if I didn't mind showing back up to work all sweaty, I just don't have the time to go during my lunch break. This leaves early morning runs (not my thing), or evening runs. I'd say that even if you have street lights in your area, having Knuckle Lights COLORS with you is a smart way to go out, as it can allow you to see the cracks, potholes, etc a bit easier, it also makes YOU more visible to cars. Just like wearing bright, reflective clothing is safe, having some extra lights that make you more visible to cars can help keep you on your feet. I've tried the Knuckle Lights rechargeable, and they are awesome. They hold a charge for a long time, and being able to plug them in to get them ready for the next run is easy. I was a little weary of the battery powered ones, as I had a pair a very long time ago that seemed to require new batteries every run. Lucky for me, these do not have this problem. The batteries last MUCH longer and I have yet to replace them, even after maybe 8 hours of use. Knuckle Lights COLORS have three different power settings: High, Low and Blinking. I'm not sure why anyone would use blinking, but I suppose if you have good light for running, it's a great setting to use to make you more noticeable to drivers. I'm always in low light conditions using them, so I'm always on high. They are comfortable to wear and easy to adjust, plus lightweight (they only weigh 3oz each). Not only have I used Knuckle Lights COLORS for running, but also to go get the mail and when the power goes out to navigate the house. 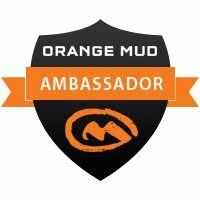 They're awesome for so many activities! 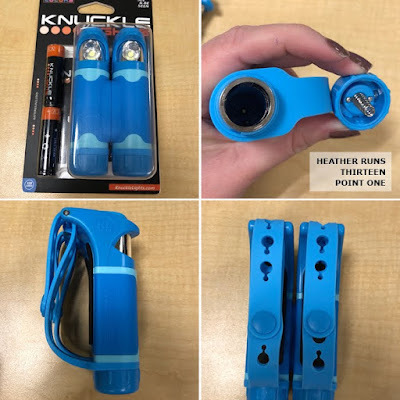 The Knuckle Lights COLORS come in baby blue, pink, or black. I picked blue, as it's my favorite color and of course matches a lot of my running outfits haha. 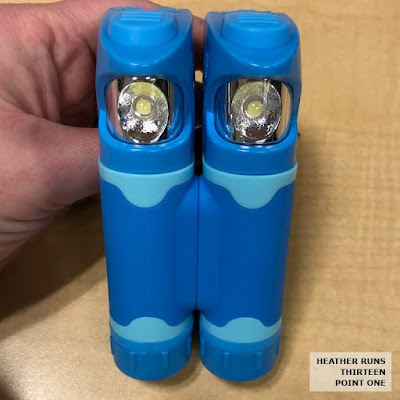 Each unit requires one AA battery, and two batteries came in the package, so you can take them out and use them immediately – no wait. They cost $39.99 and you'll get free shipping in the US. Grab a set now with a 15% discount using code BIBRAVEPRO. 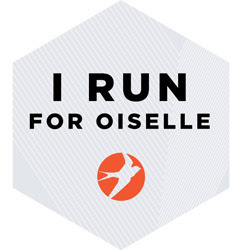 They'd be a great stocking stuffer for the runner friend or family member in your life. Knuckle Lights are designed to be worn on the front of your hands, in a perfect position to light your path and be seen on your next walk or run in the dark. The ultra wide flood beans move with the natural motion of your arms, providing an even, steady light that illuminates the entire area in front of you. 120 Total Lumens — The extra bright lights emit a wide flood beam, providing a steady, even light in front of you that does not bounce, even with your arms moving. Waterproof — The units are fully waterproof and can be used in any type of weather, and will operate in below freezing temperatures down to -20 Celsius. With Knuckle Lights you can confidently step out in the dark and SEE & BE SEEN. 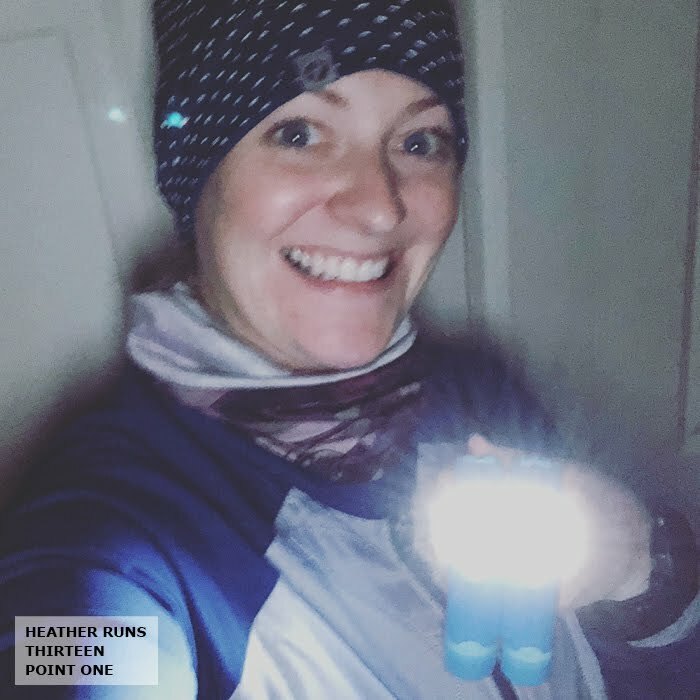 Join BibChat on Tuesday, December 5 at 8pm CT for a chance to win your own Knuckle Lights COLORS!